On February 19th, 2013, Mariah Carey will be releasing her brand new single, “Almost Home”. David LaChapelle directed the music video, and it is being released under Carey’s label, Island Def Jam. 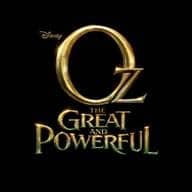 Carey co-wrote the song for Disney’s Oz: The Great and Powerful, which arrives in theaters March 8th, 2013. Carey has sold an impressive 200 million albums up until now, and has eighteen Billboard #1 singles to her credit. Of those eighteen, she was the sole writer of seventeen of them. She has also won five GRAMMY awards and has also been honored with the Billboard Artist of the Decade Award, just to name a few of her great accomplishments. As soon as the song is released for public consumption, Disney, Island Def Jam, and Mariah Carey will be working on a promotional campaign in support of her new song, its music video, and Disney’s Oz: The Great and Powerful. I love Mariah Carey. She has an absolutely beautiful voice and I can’t wait to hear her new song. Mariah Carey is an icon. Her songs are classic. I don’t think she needs much direction as she is a perfectionist and any of her projects turn out wonderful regardless of directors. Can’t wait for the movies debut. I think Mariah Carey has an astonishing voice. Can’t wait to hear the song and see the movie. The trailers are really good. Well can’t wait to hear the song and see the movie. The movie looks like it’s going to be awesome and I can’t wait! Thanks for sharing. I can’t wait to hear it–it sounds like a great movie! I love Mariah Carey, and I can’t wait to see this movie! I love all of Mariah Carey’s music so I know I will love this one too!! I can’t wait to see this movie. The previews look so good. So excited for this movie! Didn’t realize Mariah Carey would be doing a song for it, but def excited for the song as well. I can’t wait to see this movie. She has an amazing voice, I’m sure it will suit the movie perfectly!